BONTOC, Mountain Province – The State-run Mountain Province State Polytechnic College (MPSPC) and the provincial government will be hosting a 3-day International Forum on Innovations for Indigenous People’s Empowerment and Social Transformation on April 5-7, 2018. The first-ever international forum will be done simultaneous with the celebration of the province’s founding anniversary and Lang-ay festival. Rexton F. Chakas, MPSPC president, said the event aims to showcase the Igorot culture transcended to best practices, create a venue for knowledge and cultural exchange as well as for networking among participating national and international agencies and organizations. Among the presentations that will be showcased during the 3-day event include best practices on good governance, sustainable entrepreneurial ventures, cultural studies, climate change resilience, disaster risk reduction management, and education. Aside from the presentations on best practices, the over 200 participants will also have a chance to join cultural immersion activities with the people of the various tribes of Mountain Province. The forum seeks to provide a venue for faculty members, government leaders, and business practitioners to share best practices and researches on the various drivers for IP empowerment and likewise aims to provide an opportunity for networking exchange of ideas among participating organizations and international agencies about common concerns and for joint solutions. Further, the forum responds to the gown and town concept where the academic research outputs match the need of the community consequential to social transformation. Under the forum guidelines, best practices presentation papers should include an abstract or executive summary, rationale, objectives of the program, methodology or specific management approaches, strategies or innovations applied or experienced, discussion, lessons learned, policy implications and recommendations and should adhere to format rules and regulations. Chakas expressed confidence on the successful conduct of the event for the full realization of the activity objectives and to entice international and foreign participants to join the gathering purposely to enhance networking exchange. For his part, Gov. 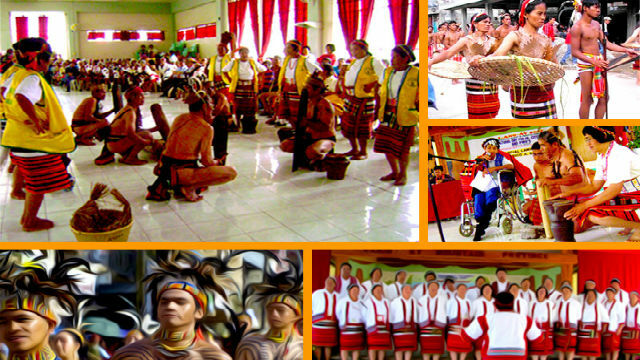 Bonifacio Lacwasan, Jr. commended the MPSPC for spearheading the conduct of the first-ever international forum on IP empowerment, saying that Mountain Province is the fitting venue of the activity because of the rich culture, history and traditions of the people where the cultural immersion event will be suitable. He added that the conduct of the international gathering will be timely considering the expected influx of visitors wanting to actively participate in the celebration of the province’s Lang-ay festival, one of the well-attended crowd drawing events in the region through the years. Lacwasan said the provincial government will do its part to guarantee the successful staging of the activities that were prepared by the organizers for the international gathering.